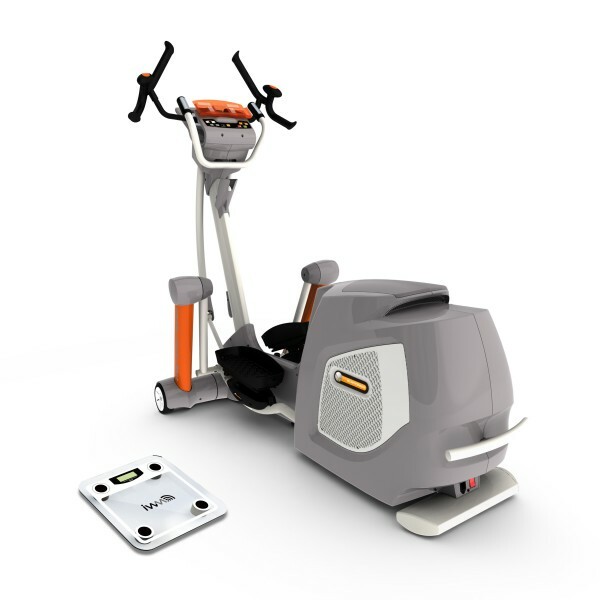 The Yowza Islamorada elliptical is one of the top models in the company's popular Cardio Core series. It has an impressive list of features and capabilities, including a 19-30" power adjustable stride, up to 60 degrees of incline and IWM weight management software. 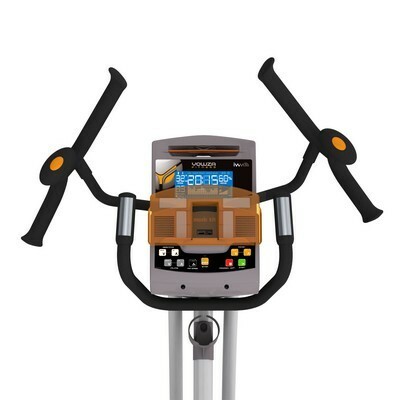 The Yowza Islamorada elliptical has a generously sized console that gives you all the stats you need while working out and features 21 pre-set workout programs and 9 optional, adjustable programs for up to nine user profiles. Adjustable stride length from 19" to 30"
Check out the new Yowza Islamorada Elliptical On Sale Now! Word has quickly gotten around about the Yowza Islamorada elliptical, and the word is good. Reviewers who have tested this have nothing but praise for the innovative design and the top quality parts, which are made in Yowza's own factory, where they obviously have strict quality control guidelines. The most talked-about feature is the patented CardioCore workout, which uses the elliptical's uniquely designed egg-shaped handlebars to help target your core muscles, resulting in a serious workout for abdominal muscles. One reviewer felt that the Islamorada was quite possibly the best machine on the market, along with its big brother, the Yowza Miami elliptical trainer. If you want a commercial grade elliptical with lots of user options, the Yowza Islamorada may be your machine. While many elliptical manufacturers say they have multiple user profiles, very few of them offer such a wide array of options. The stride is adjustable from 19" to a roomy 30" stride that works for even the tallest users. Now add in the adjustable incline which can go higher than any other elliptical for a gruelling 60% and you have a machine that can be used by everyone from the novice who needs to start slow to the serious triathlete looking for an elliptical that can give them a punishing workout. The manufacturer has added some features not found on most of their other models, like the iPod docking station and three speed fan, which make working out more pleasant. The company has obviously been listening to their customers and are giving them the extras that were missing from their earlier offerings. Although listed at $3199, you can currently find the Yowza Islamorada elliptical on sale for around $2199, which is a reasonable price for a truly impressive and versatile machine.